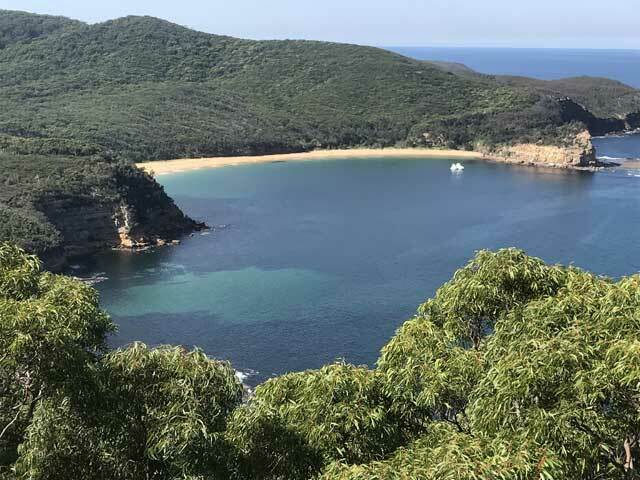 Lyn Jamieson, Doreen Handy, Graeme Rollings, Jocelyn Gaskill, Morrie Donovan, Janette Allan, Colin Isaac, Veronica Healy, Shirley Zhang, Peter Cunningham, Liz La, Ewan Cain & Roy Jamieson. 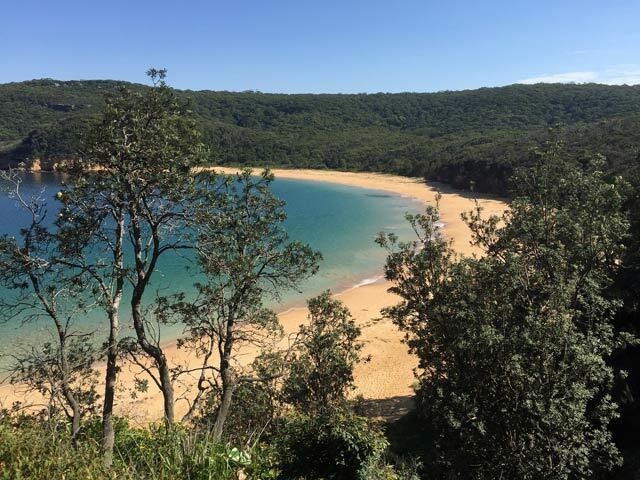 For my contribution to the 80 Leaders 80 Walks Project, I could not have wished for a more spectacular Autumn day. 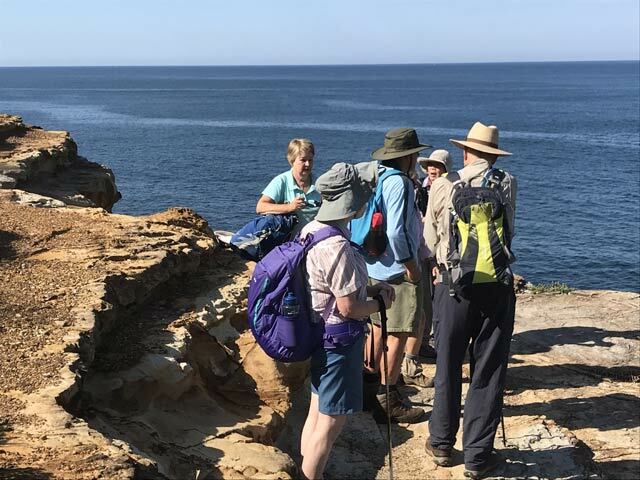 I’m sure my enticing invite of “Come up to the beautiful Central Coast and let me take you on my favourite walk” did not disappoint the dozen walkers who either ventured from Sydney or locals who also love this walk, which starts and finishes at the Maitland Bay Information Centre. 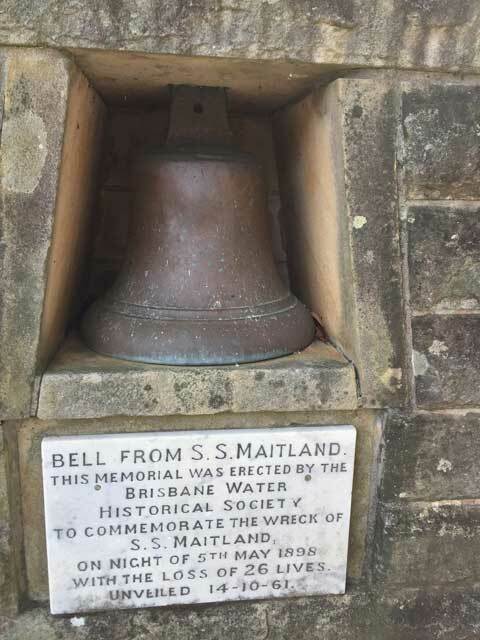 We started with a talk about the wreck of the SS Maitland, which ran into the Bombora off the coast in atrocious weather and then drifted and smashed into rocks now know as Bouddi Point on the night of 5 May 1898, and we looked at the bell off the ship. 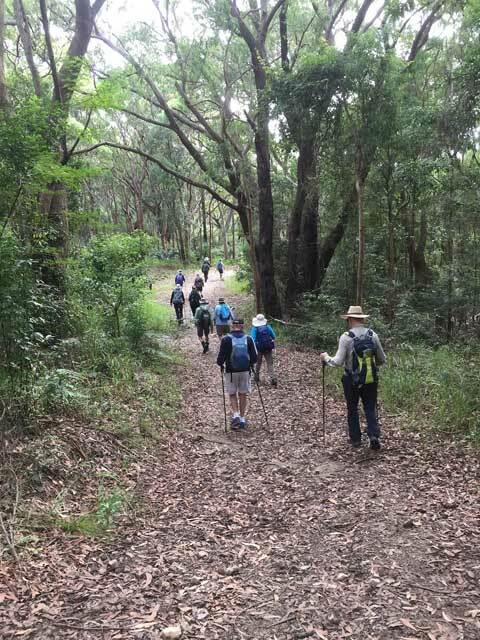 Into the bush and along the beautiful tree lined Strom Fire Trail and a short road walk to the Dingeldei/Mount Bouddi picnic area. 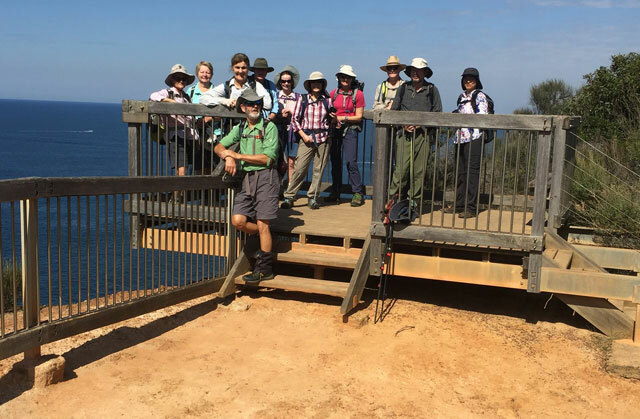 From there on to the Bouddi Spur walking track stopping for a few minutes at the Bouddi Lookout offering great views towards Maitland Bay. 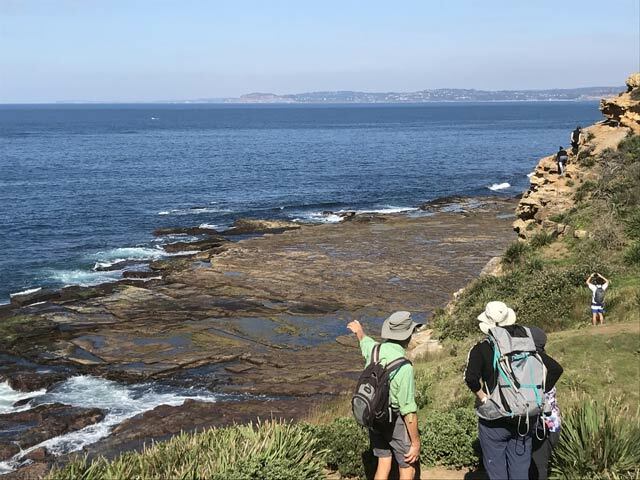 The track then meanders down to Bouddi Point where a solo walker took a group photo and our group enjoyed coastal panoramic views. 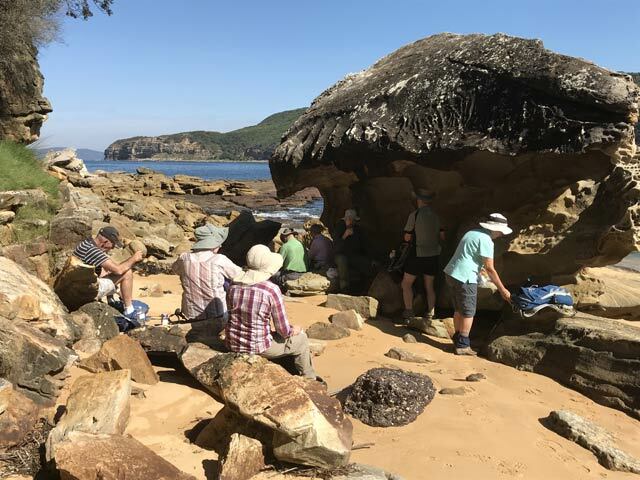 From there it was a short walk to Maitland Bay using the fabulous and relatively new sandstone steps, and a morning tea break on rocks at the north east end of the beach. 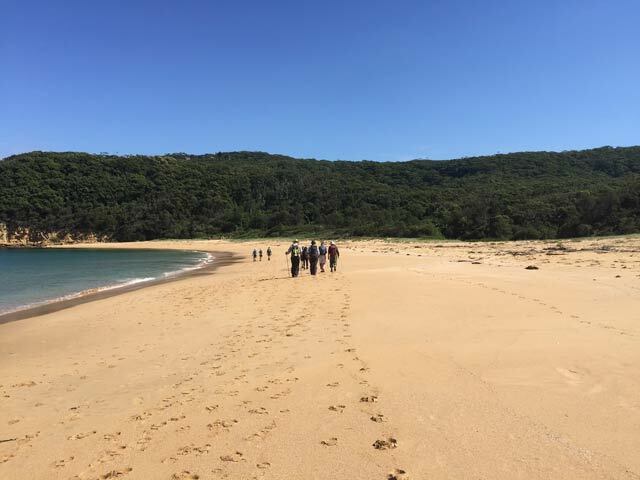 Off again along this pristine beach and up a short up section of the Maitland Bay Track to where we turned left and onto the Bouddi Coastal Track. 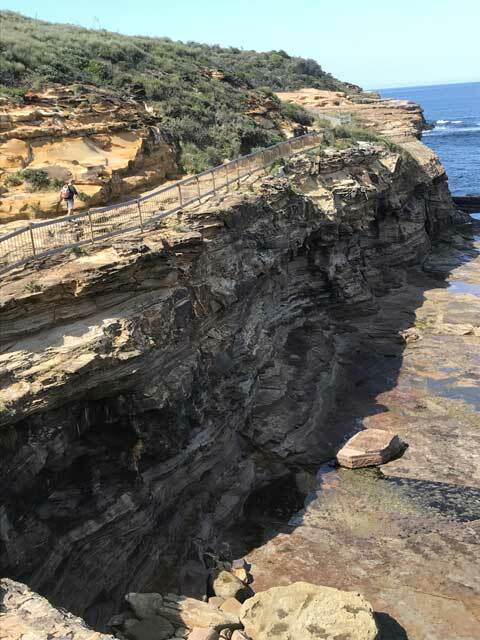 All along the way we enjoyed coastal views, then stopping to admire the vista from Gerrin Point. 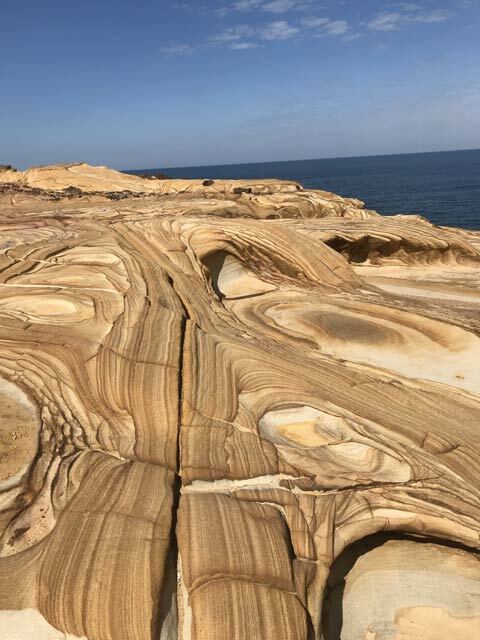 Heading now to Putty Beach walkers marvelled at the interesting rock formations especially the tessellated pavement section. 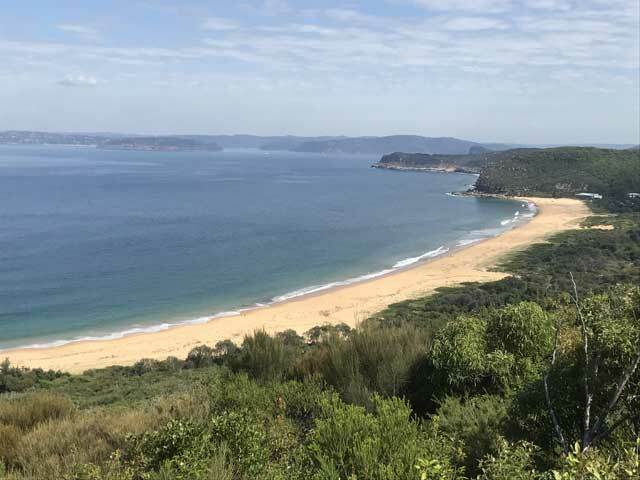 We had a short drink and toilet stop at Putty Beach then up a relatively steep climb to Killcare Heights where lunch was enjoyed on rocks with panoramic coastal views including south towards Barrenjoey Headland, Box Head and the Baha’i Temple on the horizon! 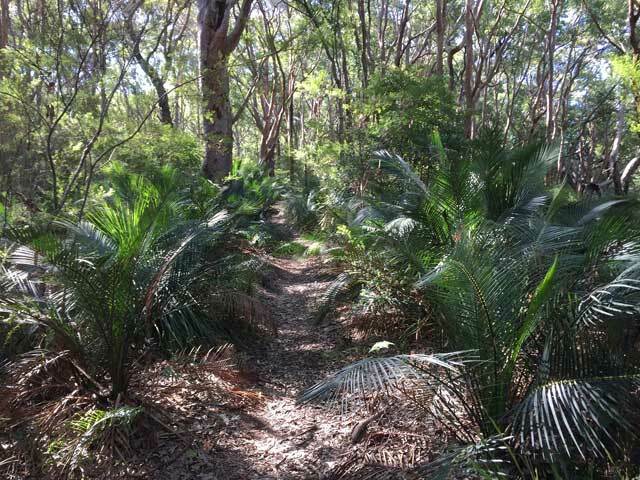 Another short road walk, and back into the bush along a track that took us up to The Scenic Highway and onto the Marie Byles Lookout. 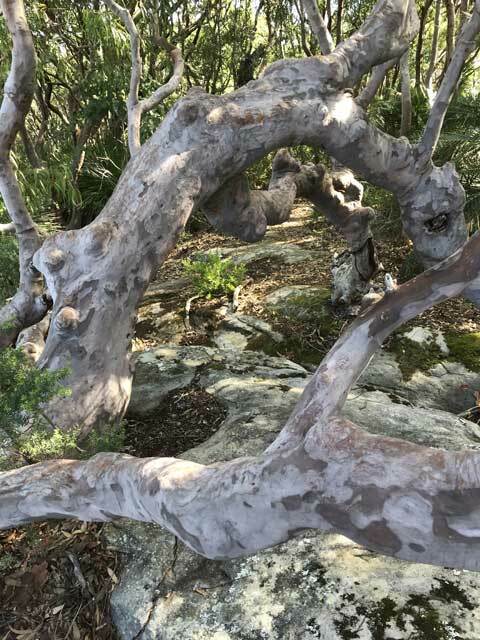 Marie was of course an instigator of The Bush Club! 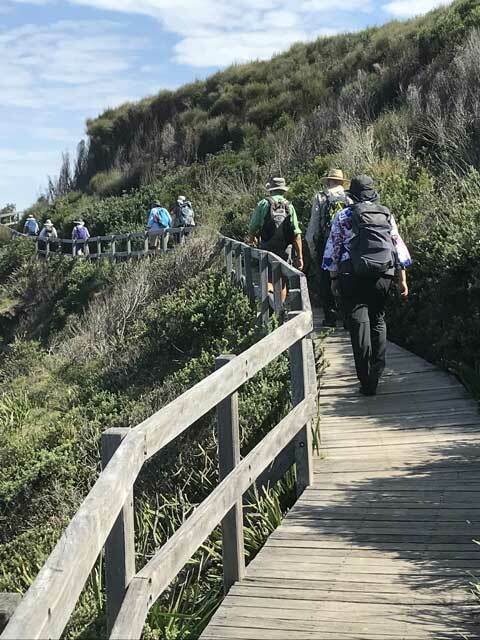 No walk in this area is complete without the enjoying the Bullimah Spur track, through a Jurassic wonderland of Macrozamia to the very spectacular Bullimah Lookout. 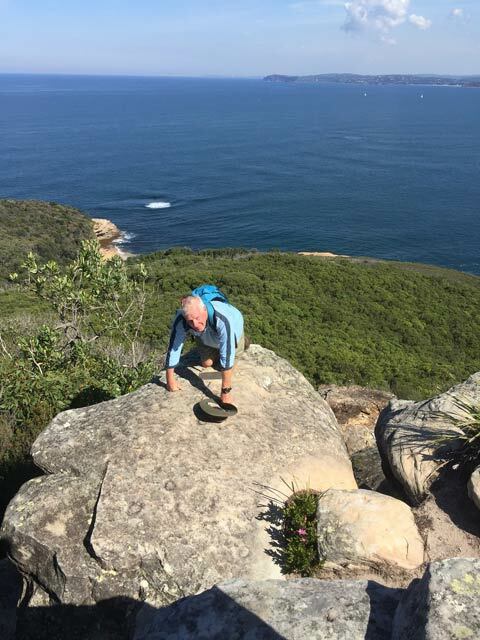 A small weathered plaque on the rock platform is a tiny memorial to Charles D’Arcy Roberts. 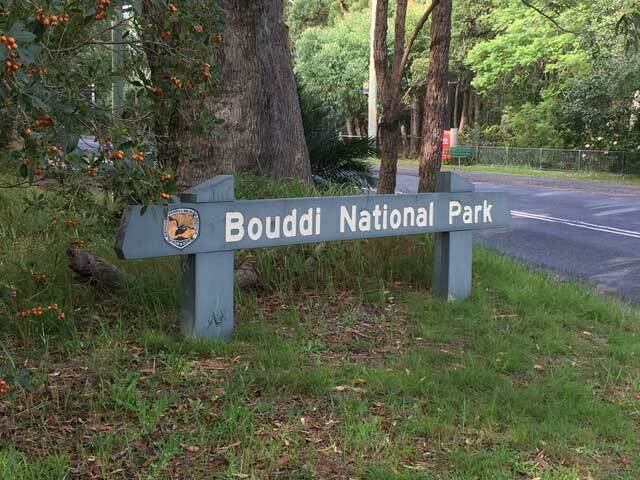 He was instrumental in the creation of Bouddi National Park. He was also a prisoner of the Japanese in Changi and died of malaria on the Thai Myanmar Railway. 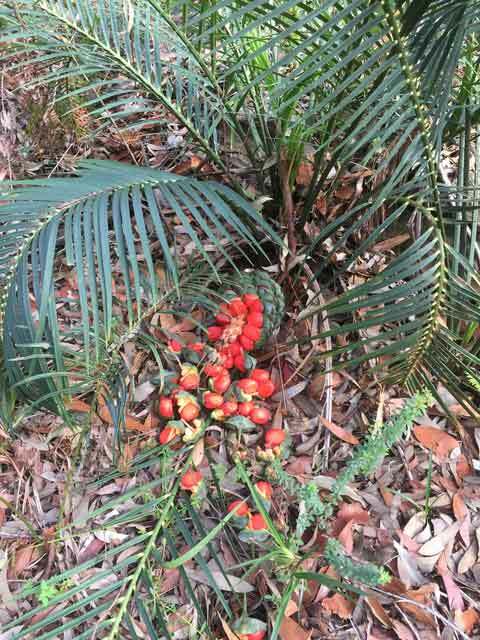 Back again through the Macrozamia to join the Maitland Bay Track and a short up hill section to the carpark. 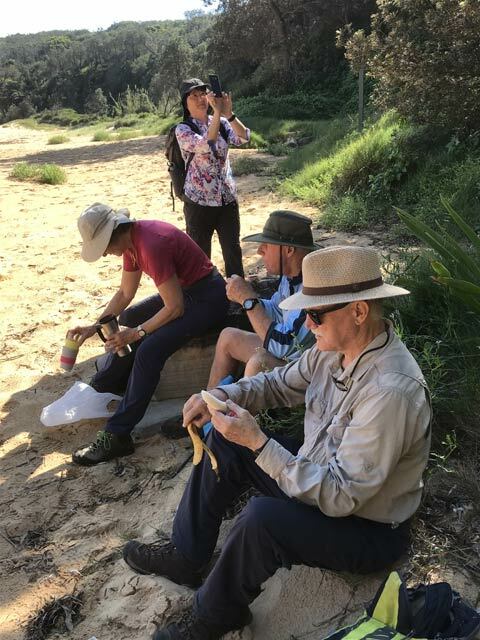 I want to thank the club members who joined the walk and to Roy who was tail for most of the day. 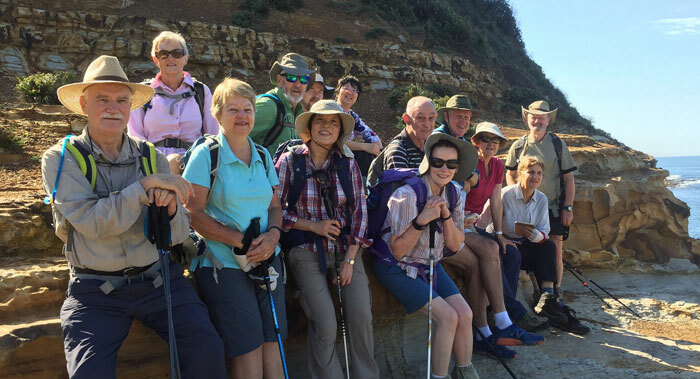 A point of interest at the start was a reunion of sorts for several members who had not walked together for quite some time!